View cart “Downloadable- Health and Happiness Tracker PDF” has been added to your cart. The most powerful step in your Health and Happiness journey will be writing it all down and putting everything into perspective. I know it is not easy balancing eating clean, getting/staying fit, and having positive feelings. 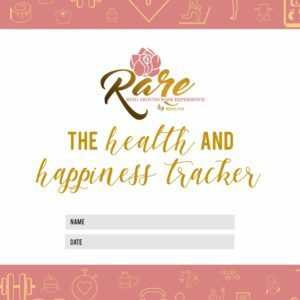 But with the RARE Health and Happiness Tracker and me helping you SET goals, it is possible to have it all. 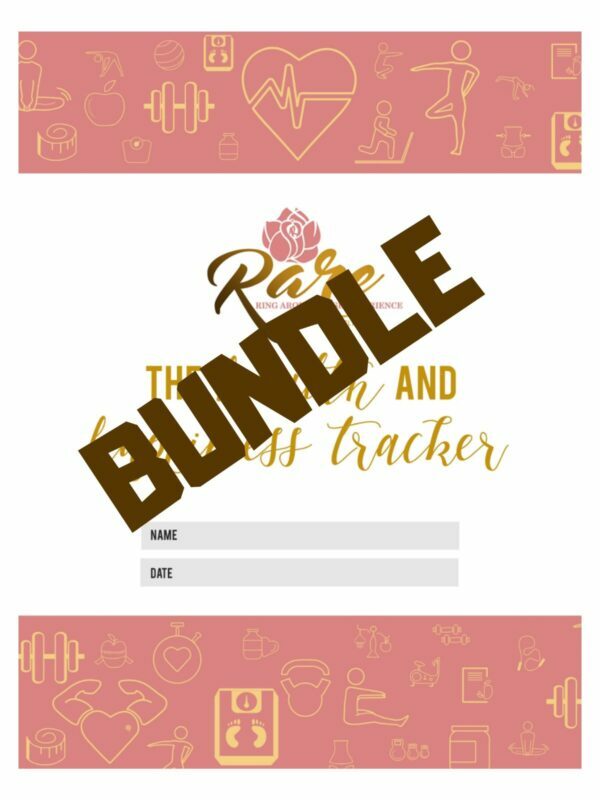 Once you have completed the tracker you can email it back to me, and I will evaluate and help you utilize the best goal setting strategies in relations to Health and Happiness. For example, you say, you want to lose 50 pounds! We will start by setting smaller GOALS; that will enable you to track and reward yourself. NOTE: This includes a digital product. Therefore, it will not be refundable.